By Keith Horan | February 16, 2017. 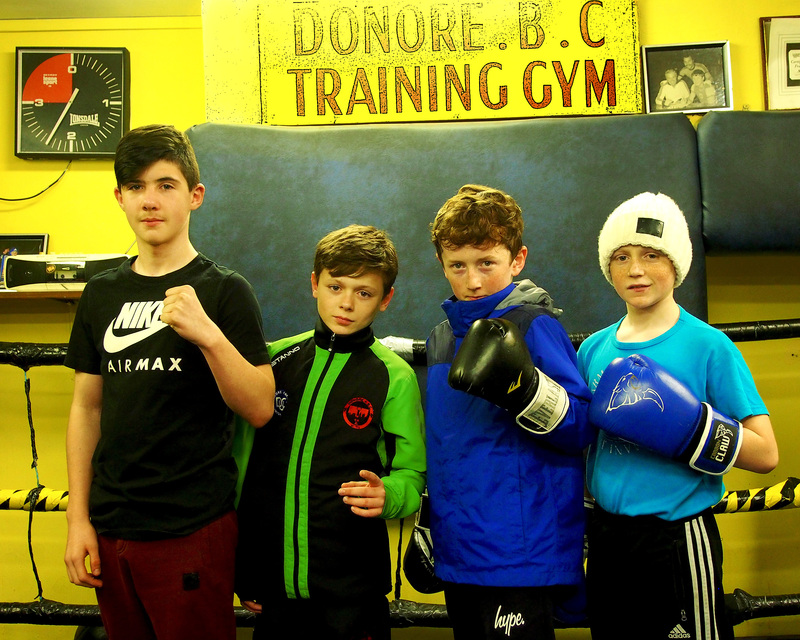 Donore Boxing Club in Saint Teresa’s Gardens has been home to many talented fighters down the years, and the club needs to muster all that fighting spirit as they battle for inclusion in the ongoing regeneration of the area. Big Joe Egan, who was a sparring partner of Mike Tyson’s for two years, is one of the club’s ex-heavyweight champions, and men like Noel Reid and Noel McEvoy became Irish junior champions while boxing at Donore. Head coach Gerry Balfe Smyth believes it is vital for the area they find a new home. Looking the part can only come after learning the basics of boxing, and for many of the club’s 45 members that began as early as eight years of age. “For the eight-year old age group, it would be just learning the basic skills in boxing, how to throw a correct left jab, how to correctly throw a straight punch, repetitively getting them to do the same thing every night until they get those basics down because they are the most important parts of boxing,” explained Gerry. As they get older the club members move on to learn more advanced skills, but the coaching staff at Donore are keen to ensure all the training is carried out in an enjoyable, jovial atmosphere, befitting of The Liberties. “There’s a really good community in Saint Theresa’s Gardens, there always has been, and we keep that going with the kids in the area by keeping the club open for them”, said Gerry, who knows how much of a positive influence boxing can have on children from disadvantaged areas. With training on Mondays, Wednesdays and Fridays, along with visits to other clubs for sparring sessions on Thursdays and Sundays, it’s also a great way to keep the kids active and healthy, especially when they grow to really enjoy the training sessions. The club is currently hard in training for the County Dublin Boxing Championships, which take place at the end of March. Six Donore boxers will compete at the championships. Gerry also noted that the club currently have two really bright prospects in girls boxing, Brooke Roche and Charlie McEvoy, coming through the system, alongside all the talent competing at events and in the gym. The coaches at Donore will be keen to ensure that the successful era enjoyed under Robert’s presidency will be continued into the future. And hopeful that new facilities can be obtained, to keep the production line of champion boxers from the Liberties rolling. Ireland qualifies for the Euros: What happens next?